Have you made my Fancy Chicken Stew yet? I've been making this lovely stew for years, and I posted about it being my favorite way to use a slow-cooker before, but I think it is worth re-mentioning how fantastic this chicken stew really is. It's elegant enough to serve to company, but simple enough to make at least once a week. And, it is the one dish where leftovers are okay in my book. (I know!) The flavors just get better and better. I didn't make this stew all summer, and now that it is soup season, it will be in full rotation. 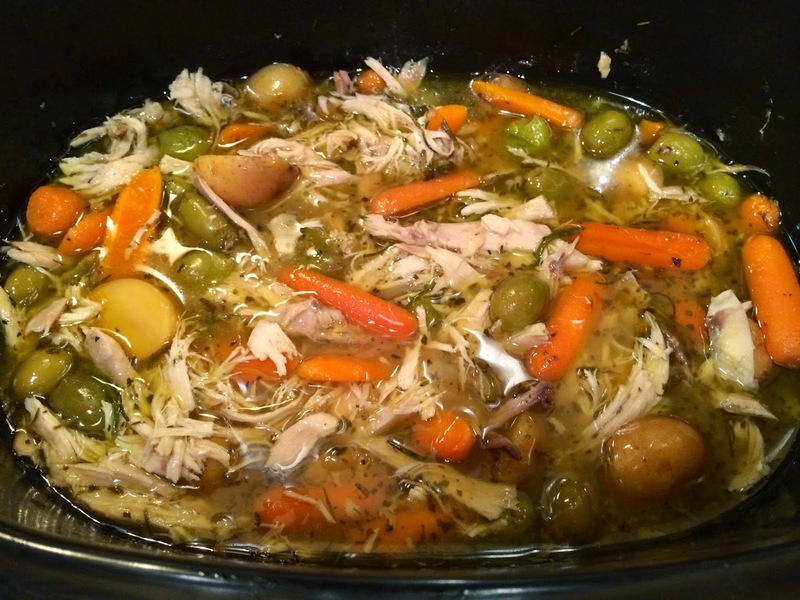 It always gets rave reviews -- a delightfully rustic chicken soup, with the lemons and olives adding a bright, briny flavor. You might be skeptical about the lemon and olives (not to mention all of that garlic) but I promise you, it's really quite delicious. *Note: If you can't find Picholine olives, try another green olive that's equally citrusy -- I've found those taste the best in this recipe, but I've also used a mixture of black/pink/green Greek olives with fine results. Just don't use stuffed olives, canned black olives, or olives that are marinated in oil, and you should be good to go. Fill the bottom of your slow cooker pot with the the carrots, potatoes, three rosemary sprigs, six peeled and smashed garlic cloves, the minced shallot, and the olives. Prep the chicken (remove gizzards, etc. if included) and pat dry. Stuff with 12 peeled garlic cloves, 3 rosemary sprigs, and 2-3 lemons (seeded and cut into wedges), then tie it up tight. 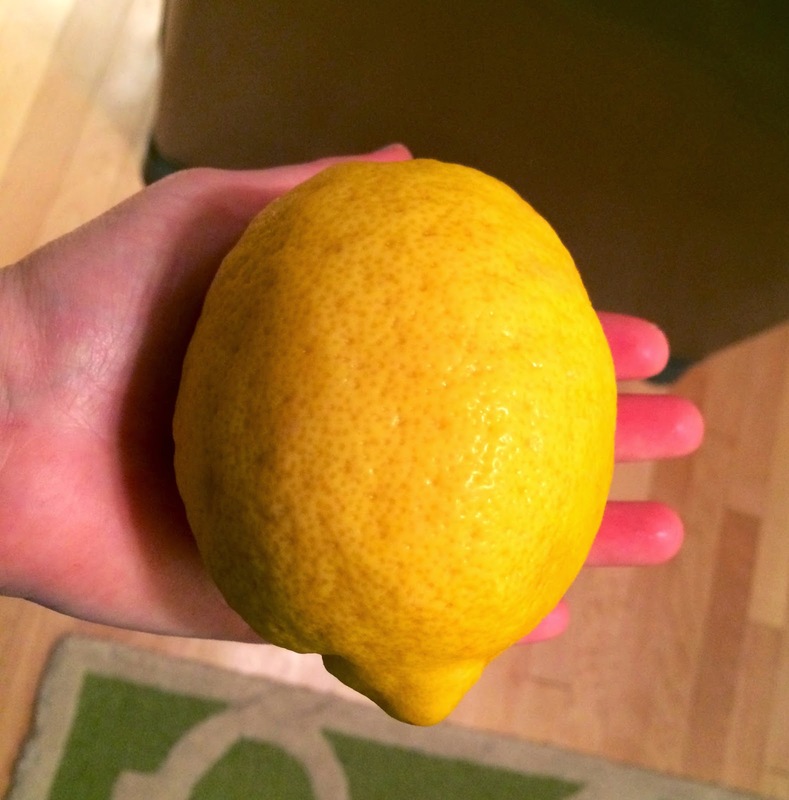 My chicken was a beautiful, local heritage chicken, raised without antibiotics from Epicurean Farms in Lancaster, PA.
And, can we just take a minute to acknowledge the world's largest lemon? My hands are pretty small, but holy moly! Place the chicken, breast-side down on top of the carrots/potatoes/olives and then cover with the stock, lemon juice, a pinch or two of salt/pepper, and the herbs. Dot all-over with the butter. Cover with the lid and set the cooker to the 6-hour setting (high). When it is ready, carefully remove the chicken -- it will most likely fall right off of your fork, so have a cutting board and bowl close by and be ready to catch the stuffing. Carefully remove the meat and discard the string/stuffing/skin. You can toss the bones, or keep them in the freezer for a future batch of homemade chicken stock, like I do. 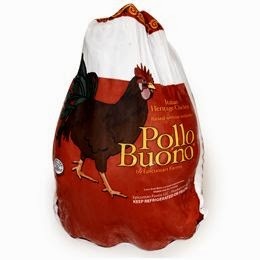 The chicken should be so tender that it will shred itself, but if there you have any large pieces, chop them into bite-size pieces. Fish out the rosemary sprigs and any large pieces of garlic and/or wandering pieces of lemon/stuffing from the stew pot and discard. Adjust seasonings to taste (more salt/pepper if needed). Ladle big scoops of meat/veggies/olives and broth into bowls. Serve with plenty of crusty bread for sopping up all of the juices, and a side salad if you feel like making one. Otherwise, a bowl of this and a hunk of bread is all you need. It's the perfect thing for a chilly fall day...I hope you try it!